Back in December, PoppaNut and I decided to book a spring trip to West Virginia — I’ve never seen PoppaNut’s hometown, a place where he perfected his soccer skills, a small town where he could walk to school, a destination where the hottest bar in town is the Elks Lodge. I’d seen his childhood home in New York, but I guess when you start creating a family, you start to think more about your roots. And I couldn’t wait to see it all … every school, every neighbor’s home, every mountaintop! And we couldn’t wait to take Reece there, too! It would be his first official family vacation. So, we booked those tickets and started counting down to departure day! Now, this was our first time traveling with a baby. Needless to say, the planning started weeks in advance with tons of research, calls with friends who had traveled with a baby before and several text messages to my mother-in-law to make sure we had all the gear we needed — because God forbid Reece doesn’t have his jumper, bouncer, swing and more. I spent days thinking of all the things Reece might need, researching the weather forecast, scouring our itinerary and finally developing the perfect packing list for him. And once we arrived, SURPRISE, Reece’s bag was the only one that didn’t make it. 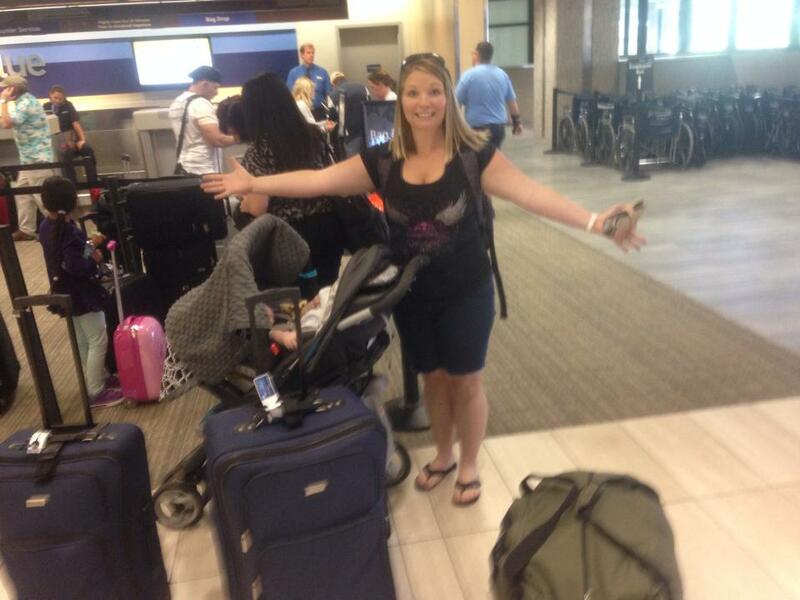 So, I put together a few no-fail mommy travel tips for your amusement pleasure! Break Your Formula into Different Suitcases: Reece has a prescription-based formula, and I luckily packed half of his formula in his suitcase and the other half in PoppaNut’s bag. That bought us some time to locate the bag before completely freaking out! Yes, this is how much luggage it takes to leave home with baby. 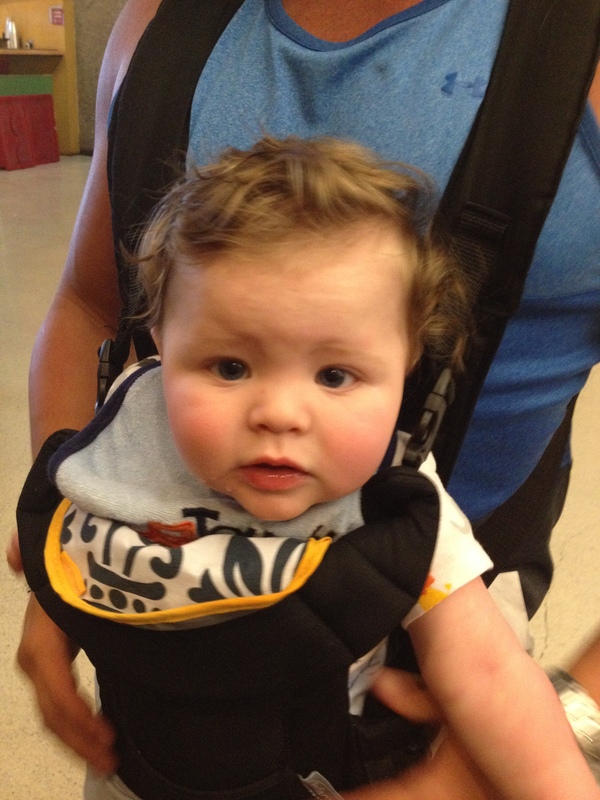 Over-Pack Your Diaper Bag: Most airlines let you take on a diaper bag for your baby. I swapped out my regular diaper bag and purse for one of PoppaNut’s Quicksilver oversize backpack and loaded that thing up with everything I could find: Toys, extra clothes, an extra shirt for me in case of any puke issues, bottles, pacifiers, diapers, wipes, a changing pad, our tickets, my wallet. With this setup, I also didn’t have to keep track of my purse, since it was all combined! Keep Your Baby Hungry and Tired: So, a good friend told me this little tip. If your little one is supposed to eat at 11 a.m. and take his second nap at 1 p.m. and your flight is at noon, push his bottle back and try to eliminate his first nap. He might be cranky but he will take his bottle as soon as he gets on the plane (helping his ears pop) and then he’ll conk out! It worked like a charm for us. 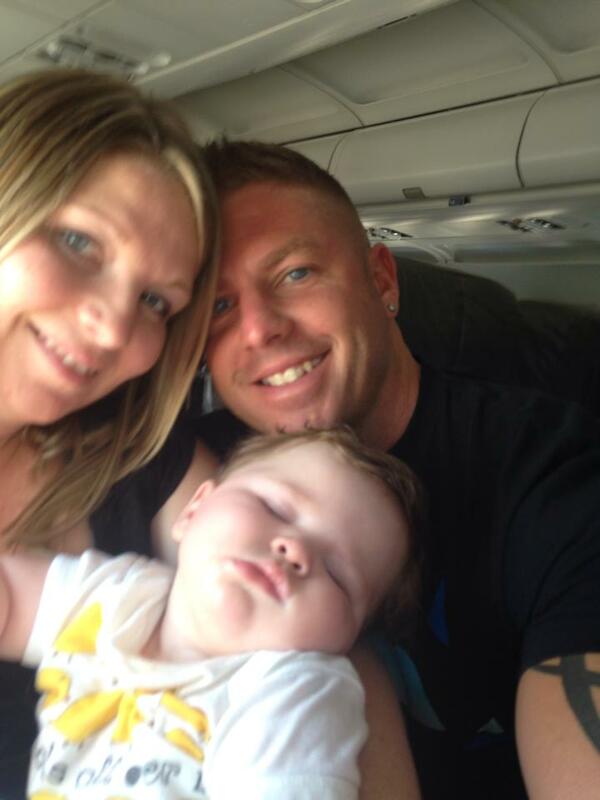 Out like a light, thanks to his bottle during takeoff! Bring the Carrier: I loved the carrier because Reece gets bored hanging out in his car seat. He likes to move his legs around more, and the carrier allows him to kick while still being secure. We used the carrier quite a bit, especially once we made it through airport security. My two boys are seriously the cutest! Think Outside the Box: So, PoppaNut is AWESOME at this! I’m a very much “the book says” kind of person. But Mr. I’ll Change a Diaper Anywhere (and he literally has, including on a government vehicle) is always coming up with new ways to entertain baby. So, while waiting for our flight to board, PoppaNut spread out a spare blanket in a vacant row and let Reece roll and play with his toys. PoppaNut got right down there on the floor to play, not really giving a hoot what anyone thought of it! Playtime can happen anywhere, thanks to PoppaNut! Brush Off the Complainers: Look, babies are going to cry. And of course, you’re going to try to calm them down but there might be a few hairy moments. And just then, some mother will tell you how you could be doing it better, like you’re a complete idiot. You’ll want to physically rip off her face … but don’t. I hear airport jails are horrible. The unexpected is going to happen. It certainly happened to us with a misplaced bag. But I wouldn’t trade visiting there for anything in the world. I got to spend some of the most amazing days with my husband, reliving parts of his childhood that make him the man he is. And in the end, it’s not the travel stress or the misplaced bag I remember the most … it’s the moments with my family that I’ll never forget. And that’s life in a nutshell.